Ambati, who appeared furious after Bhajji’s comment started walking towards him from the one end of the field. After this, Bhajji also walked some steps towards Ambati. It seemed that Bhajji tried to console his teammate while an unpleased Ambati twitched his hand and walked away. 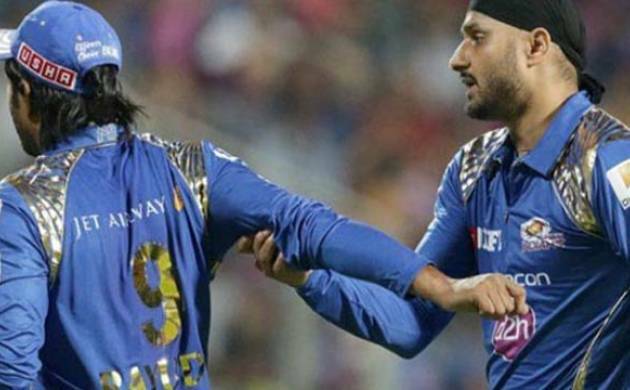 Ugly scenes were witnessed between senior spinner Harbhajan Singh and batsmen Ambati Rayudu during Mumbai Indians vs Rising Pune Supergiants match. Apparently, it seemed that Harabahjan who was bowling to S Tiwary said something disgraceful to Ambati Rayudu, who failed to stop a boundary.